Mural was created as a Feng Shui cure to create spaciousness in a very narrow corridor. 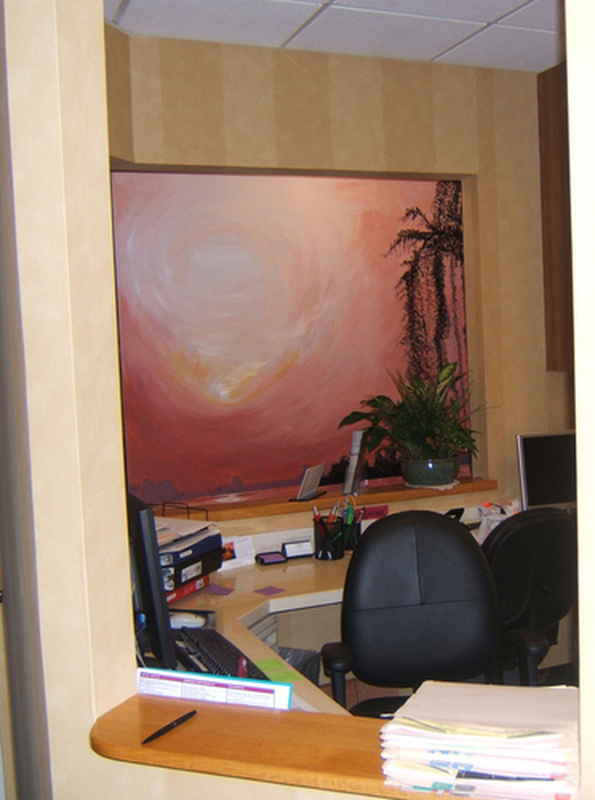 It also offer the receptionist a pleasant view instead of a split-view of a wall ending. The mural provides a focal point.It opens up the area and everyone loves to congregate to admire it. Receptionist declares that she never tires of finding new places to look at.